The department for structural analysis of the semiconductors structure was founded in 1960. Its organizer and the first head was professor L.I. Datsenko - the well-known physisit and pedagouge. He established the exact system of specialists training. The main scintifical school was determined: "X-ray diffraction in real semiconductor structures". 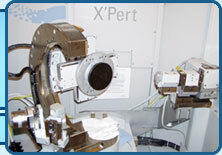 The main results on the physics of X-ray scattering were summarizes in 10 monographies. The developed new methods of solid state diagnostics were confirmed by 28 author patents. Since 2004 the department is headed by professor Kladko V.P. In general there were defended 27 candidate and 7 doctoral thesises.